WILLIAMS FAMILY – SAMPLE SANTA CALL PAGE! Free Santa Call Page Sample! Merry Christmas Williams Family! 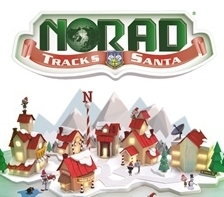 Thank you and your entire family from Santa Claus and friends in the North-pole! We enjoyed our time together. Thank you for talking to me on the telephone this year. I really enjoyed OUR special talk on the phone most of all. Santa already is looking forward to speaking with you again next year. Please do Santa a favor and go to bed early Christmas eve, so my elves are not scared and will clear the way for me to come to your home. Okay? Also do not eat to much candy, (hohoho) and be sure to eat LOTS of healthy foods like salad, fruits and vegetables. Please try to help your family with chores, do good in school, and be kind to your friends and neighbors. I love you so much. By the way Mrs Claus wants me to remind you to say your prayers everyday before bed. That is very important. I hope you like all my gifts this year! Santa is VERY proud of you and I’ll try to bring you lots of goodies again next year if you are good. Oh Rudolf and Frosty said to say hello too. Remember to leave us out some carrots, and only a few cookies and milk okay? Don’t forget, it is VERY important to help out at home and clean your bedroom. I’m so proud of you, and hope you have a wonderful magical holiday. Merry Christmas Christmas from all of your friends here at the North-pole. Hear Your Live Call AND Twas the Night Before Christmas Below! 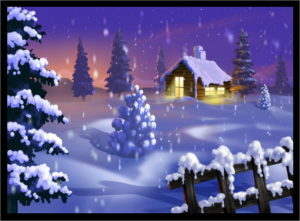 Send Free Christmas E-Cards to Loved Ones This Holiday at Greetings 123!